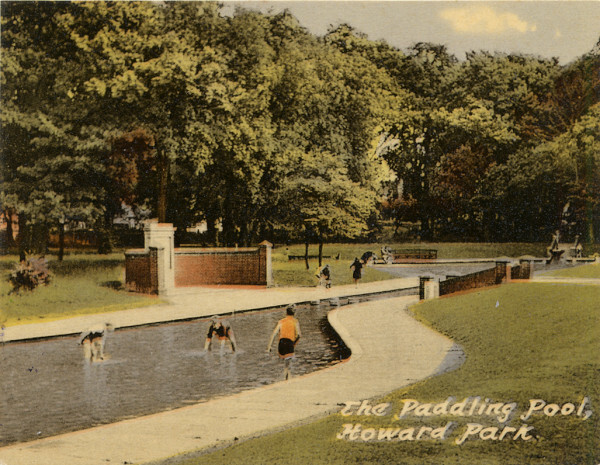 Postcard-type image, colour, on card, with title 'The Paddling Pool, Howard Park'. Shows the paddling pool by the brick walls. Three people are in the paddling pool. Part of '10 Souvenir Views of Letchworth'. No longer fixed in the binding.